My “Search for Sensational Sides” was only partially successful. I guess old traditions are traditions for a reason, not easily replaced. I changed up the side dishes that accompanied our Easter ham this year, but I’m not sure which, if any, of those new dishes I’ll serve again next year. 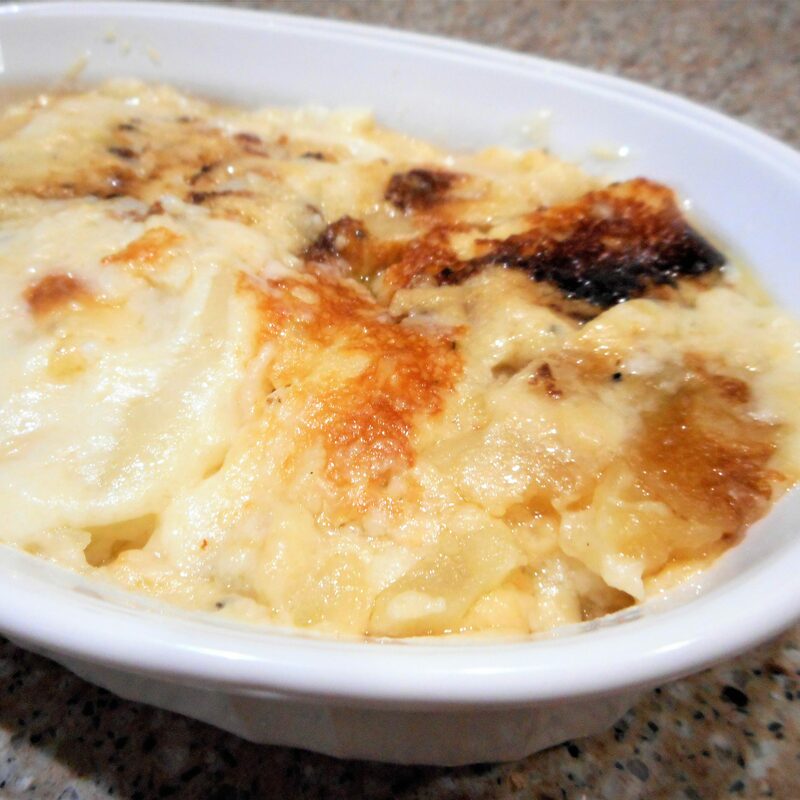 Bored with plain old Mashed Potatoes, this years’ potato offering was a dish of Creamy, Cheesy, Au Gratin Potatoes. These were a big hit, with very few leftovers, BUT… I had to triple the recipe to make a large enough casserole and gruyere cheese isn’t cheap. The cheese alone cost $14.00, so I don’t think I’ll make that for a crowd again. At least, not as part of a multiple recipe menu with lots of other expenses. Not as popular was my substitute for the good old Green Bean Casserole. 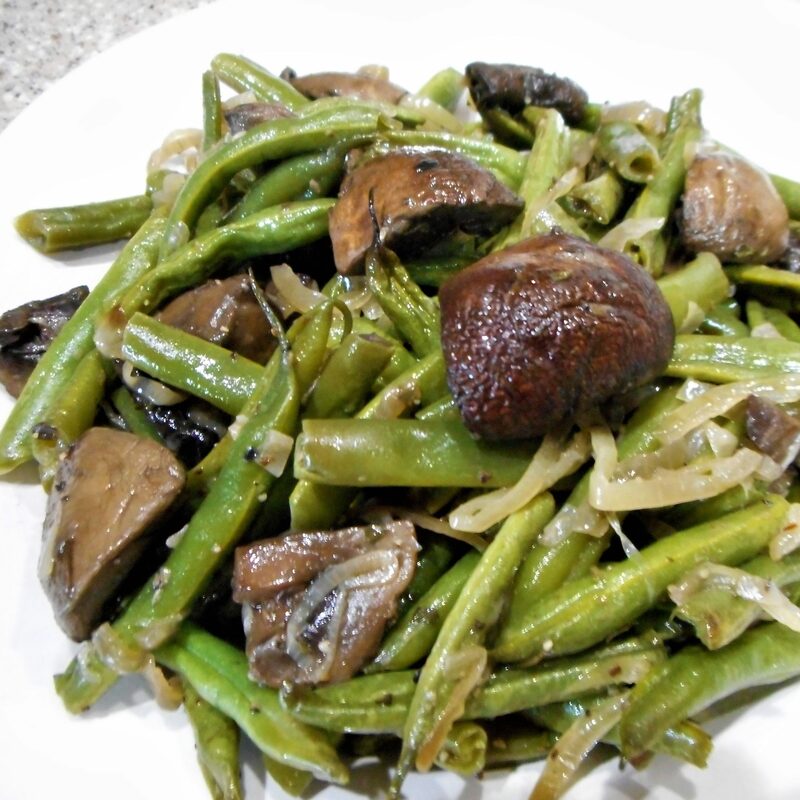 This years’ entry was Roasted Green Beans with Mushrooms. 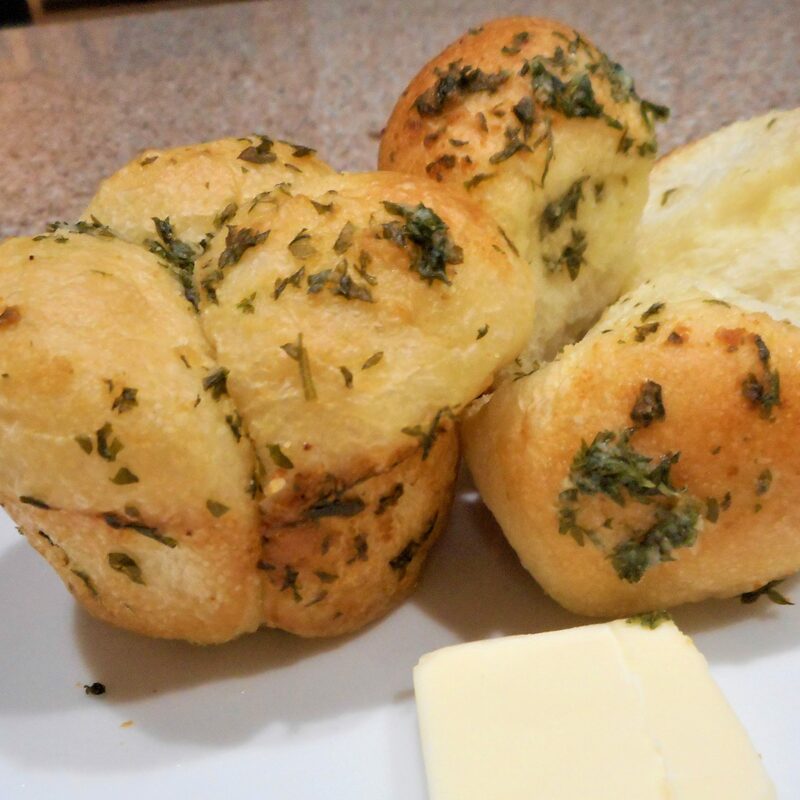 I cooked up a double batch of those, too, and I think I may have been the only one to even touch them. I can only eat so many left over veggies, no matter how well I may like them, and I didn’t think they would freeze. 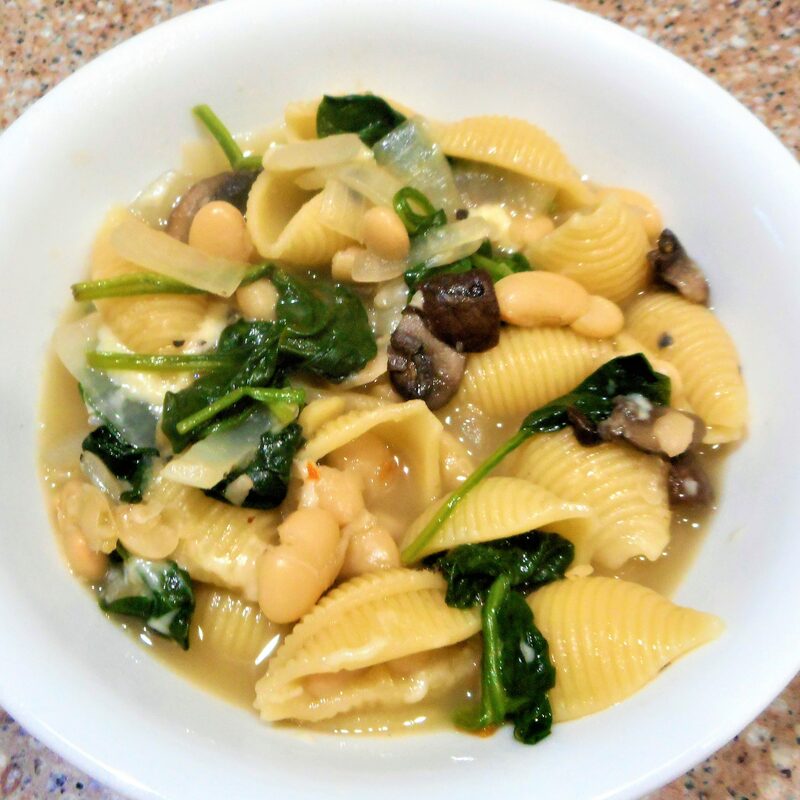 Sadly, too many green beans and mushrooms went to veggie heaven. Scrap that recipe, at least for family dinners. 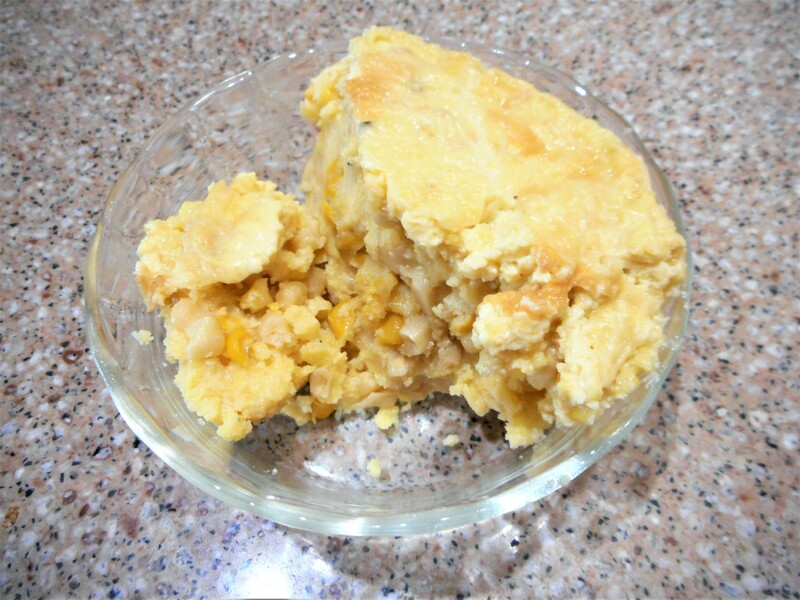 Sue Ellen’s Corn Pudding was just a little bit different take on the usual corn on the cob or cream style corn from the freezer.The kids seemed to like that one especially well, even though it was slightly over cooked. (I won’t tell if you don’t!) Corn pudding freezes well before it’s baked, so it’s a good dish for two if you’d like to make up a batch and freeze some just to have a different veggie on hand. 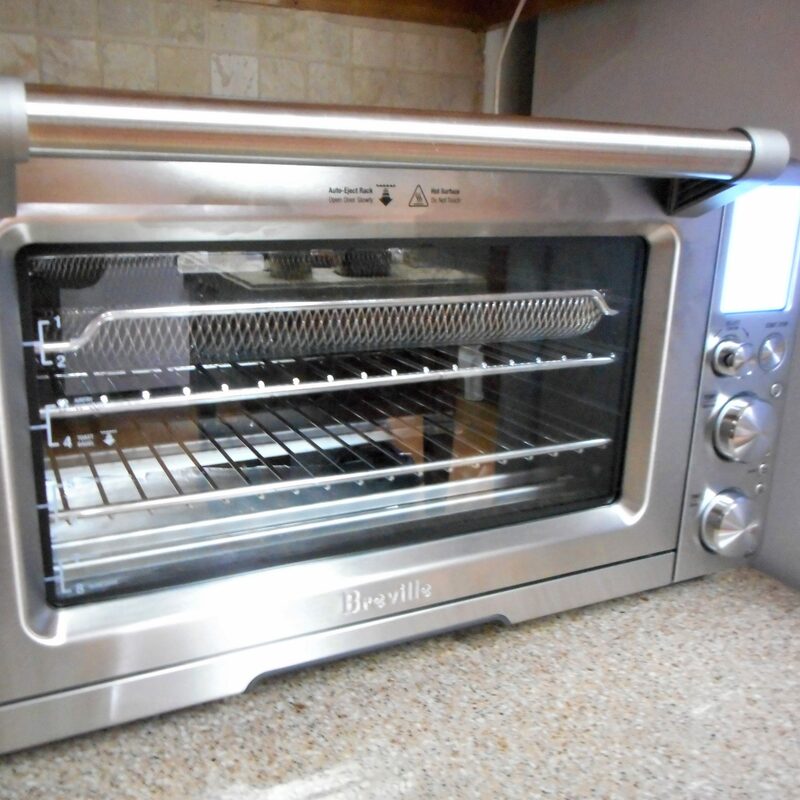 It doesn’t reheat well after baking, though, as it tends to dry out, so bake just what you need. Of course, no matter how many people you have for dinner, if you bake a ham there will be leftovers. 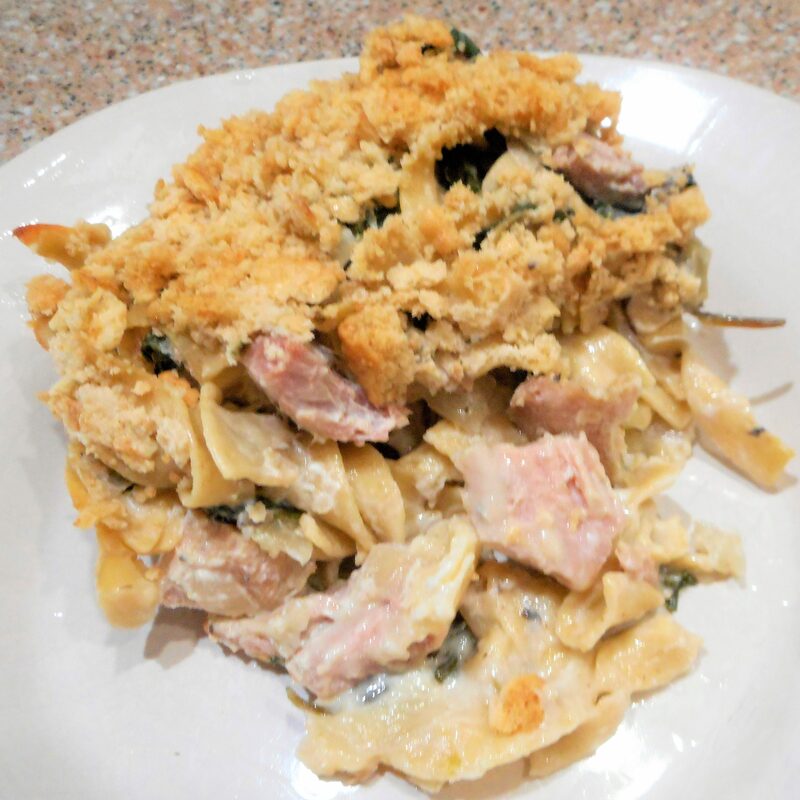 This years’ entry to the ham leftover collection was a Ham and Noodle Casserole. This one’s nothing exciting, but pleasant comfort food. Definitely a respectable leftover recipe to be made again, sometime. And at last, there was nothing left of that ham but the bone with a few scraps of meat clinging to it. Should that be thrown away? Never! First, a big pot of Fat-free Ham Broth must be made. After that, I cooked up a couple pounds of navy beans using the same recipe as for Southern Style Pinto Beans, substituting my flavorful ham broth for the water and adding those last few bits of meat from the bone to the pot. Now the ham had given all it had to give, but I still wasn’t done. Just one more dish for Meatless Monday was almost meatless. 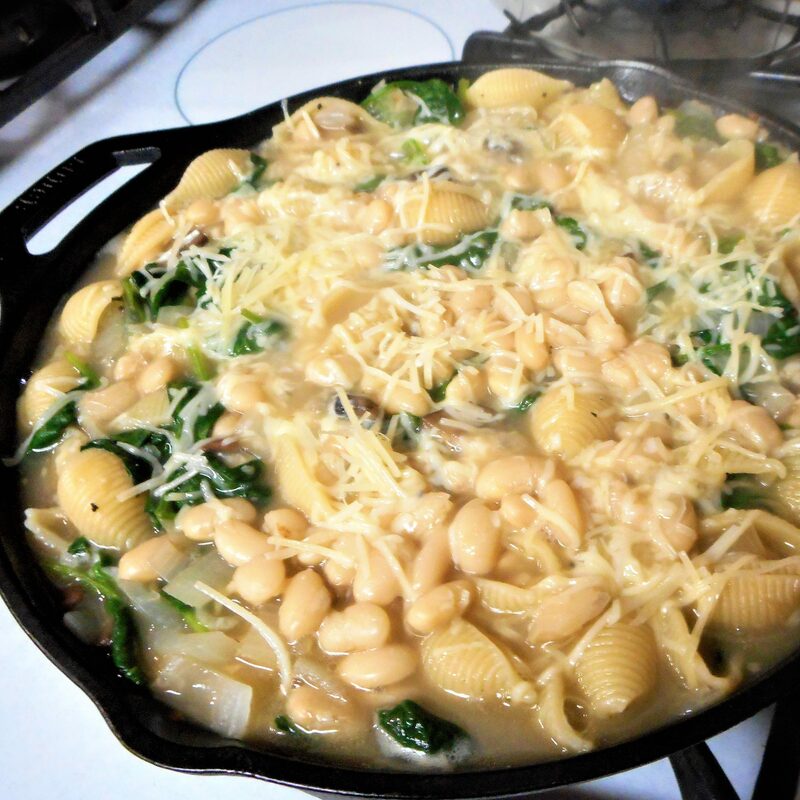 That ham broth snuck a subtle bit more flavor into a skillet of my Pasta with Beans and Greens. I guess, technically, the skillet was no longer meatless, but there wasn’t any meat in it, so who’s counting! Sometimes you take what you can get! This entry was posted in Uncategorized on May 1, 2017 by lizziesmom2012.